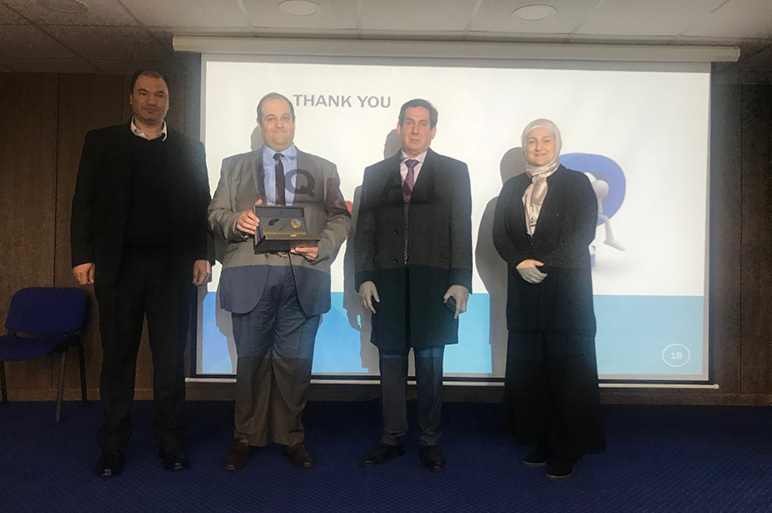 RHU College of Business Administration hosted RHU alumnus Mr. Mounir Kronful class 2006 accounting graduate for a seminar entitled “My Journey as an Entrepreneur!” on April 2, 2019 at 11:00 a.m. in RHU MEA Conference Hall. Mr. Kronful shared his experience with RHU students where he described his career transitions following graduation and until becoming the managing director of Construction and Builders. This seminar is part of the college’s Alumni Speaker Sessions, where CBA alumni are invited to share their knowledge and professional experience with RHU students, making a valuable contribution to the latter’s growth and progress.